DRISCOLL BABCOCK GALLERIES presents Polychrome, a selection of works by five artists—Abe Ajay, Wafaa Bilal, Marylyn Dintenfass, Matt Jones and Jenny Morgan—for whom color is central to their material and conceptual processes. Presented concurrently with E. Ambrose Webster: The Primacy of Color, the exhibition celebrates these works as a contemporary complement to Webster’s trailblazing, imaginative use of color. 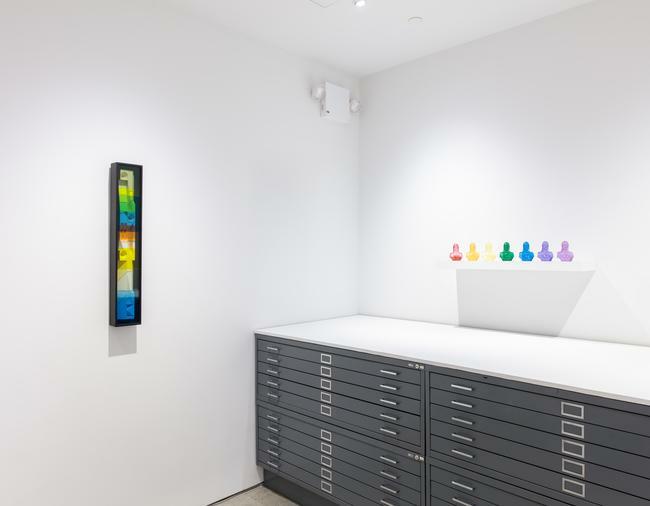 Each of the selected works references a prismatic spectrum of colors. The earliest of these works, Abe Ajay’s WALL SCULPTURE #668 (1968), combines translucent Plexiglas layers which allowed the artist to create hues that were literally available nowhere else at the time. 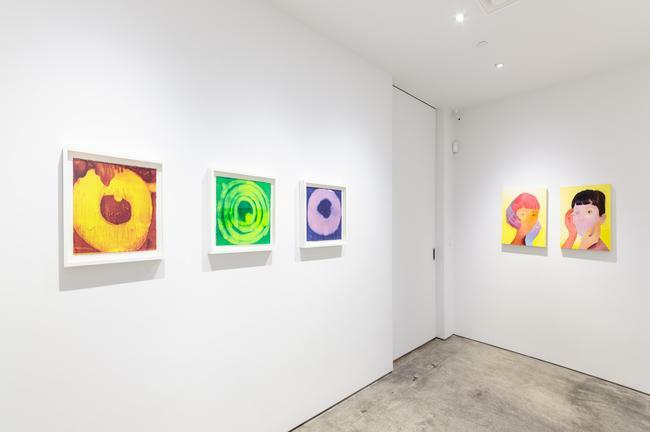 Likewise, Marylyn Dintenfass applies multiple layers of oil paint to create the unique and vibrant colors in her recent OCULUS series (2015). Wafaa Bilal utilizes color as a therapeutic tool in his work, THE THINGS I COULD TELL… (2015), which consists of seven colored crystal busts of Saddam Hussein wearing the Dome of the Rock as a helmet, lined up like a rainbow. Bilal miniaturizes and parodies these markers of despotic power, turning their former glory into emasculated, candy-colored kitsch, while also referencing the work of the 10th century Islamic scientist Avicenna, who used color as a tool to diagnose and treat illnesses. More mysteriously, Matt Jones combines luminescent pigments to craft uniquely textured, liquid-like color surfaces which reference space, time and the unknown. 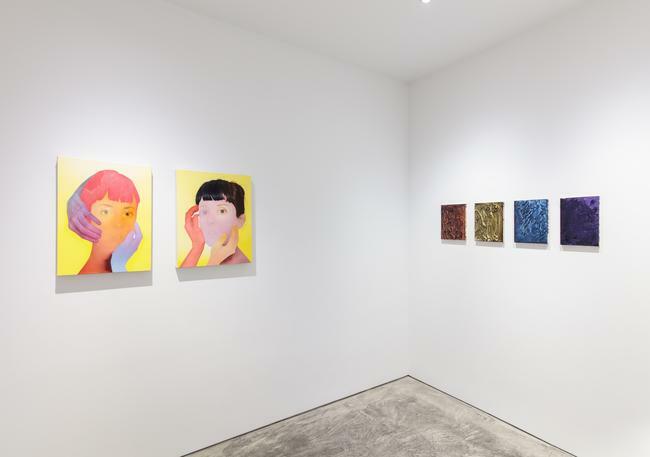 Also featured are two brand new self-portraits by Jenny Morgan, whose recent work continues to explore a richly saturated palette. Here, Morgan breaks through the ideals of portraiture and the preciousness of realism, fusing her exceptional painterly skill with a striking graphic and chromatic sensibility.